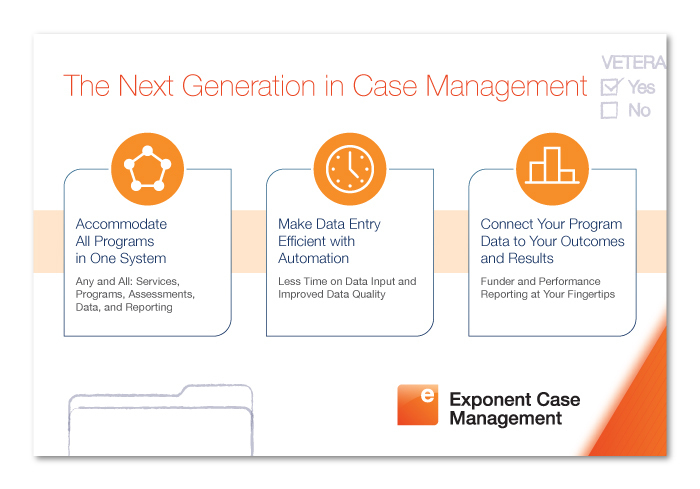 Exponent Partners launched a new App of theirs, called Exponent Case Management, in March of 2015. 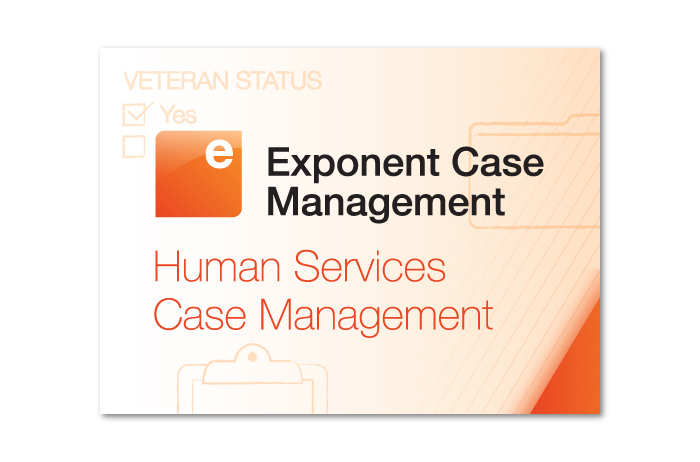 The App was designed to help human services agencies with the complexities of case management. 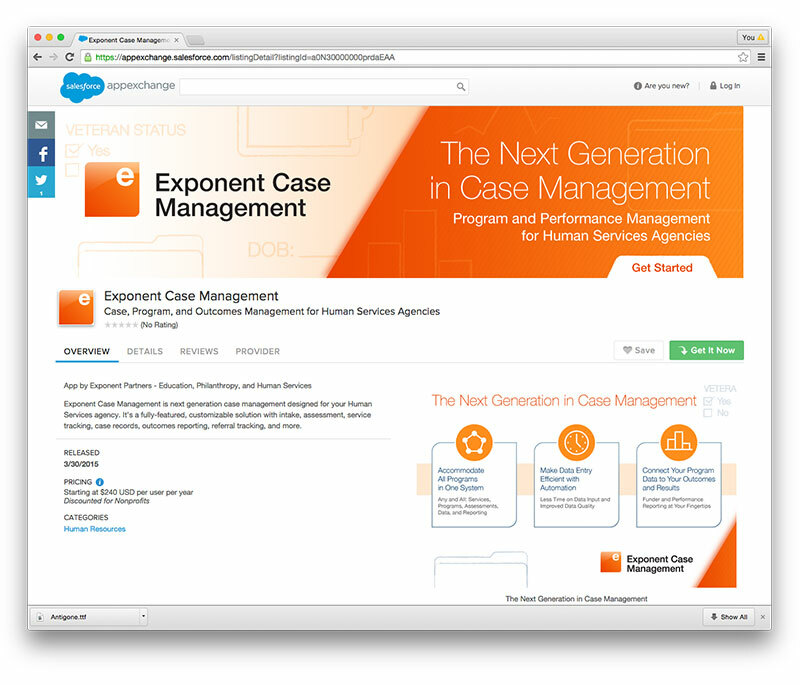 Before the App went live, I was contacted to brand the landing page for the App on the Salesforce Appexchange. There where many pieces to this project. 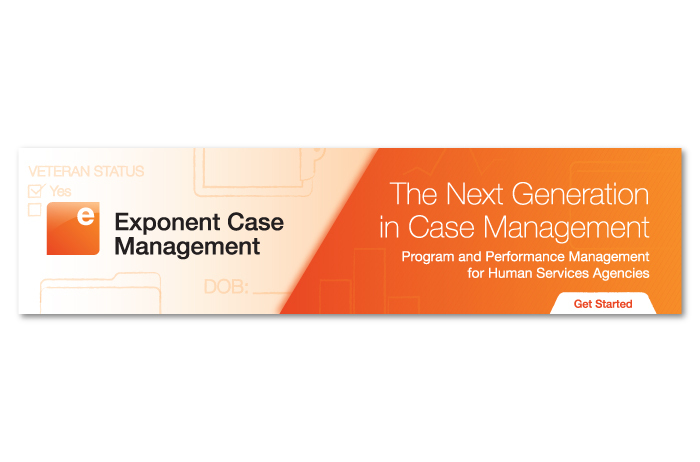 The pieces included a preview thumbnail, a large banner, a logo bug, and four slides depicting the Apps key benefits. 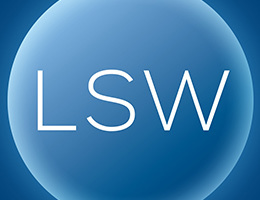 I developed the logo bug first incorporating a gradient orange into it. From here the gradient orange acted as a foundation for the rest of the designs. 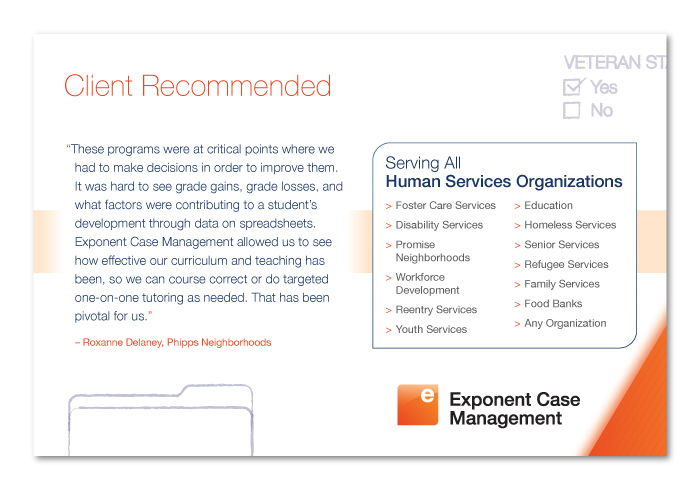 A major aspect of this project was to create graphical elements and icons that resonated with human resource agencies. 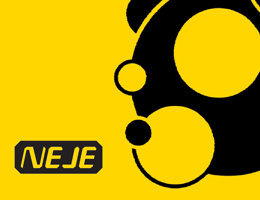 The graphical elements can be seen in the header. They are check boxes, clipboards, manila folders, bar charts, and growth charts. 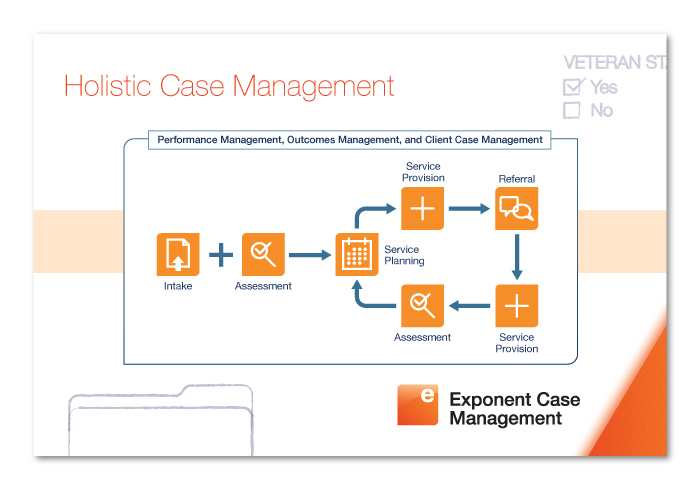 These elements flow into the four slides along with the icons that represent time management, assessment, referrals, intake, and service planning. 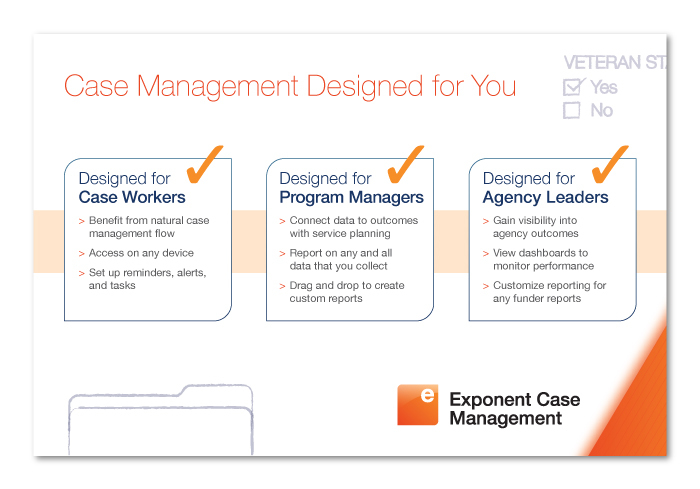 All of these pieces put together make an engaging landing page for the Exponent Case Management App.